Fiamma 40 litre rollable waste water tank with easy grip integrated handle and two large wheels that make transportation easy even on gravel. 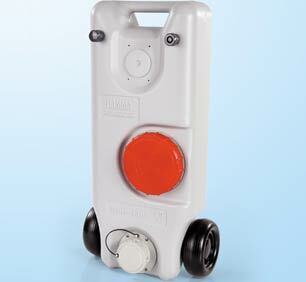 40 lite waste tank incorporates a level indicator and air release valve for easy discharge. Filling and discharging are perfomed through optional Sanitary-Flex drain tube. 45? angle adapter for discharge is included. Very easily to clean thanks to extra wide cleaning cap. Perfect for any caravan or motorhome. 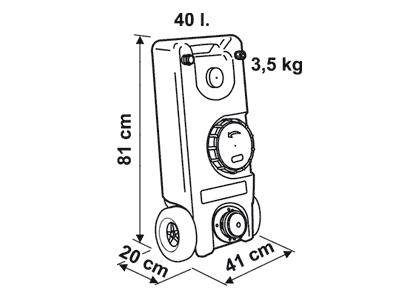 Tank dimensions cm: 81 (L) x 41 (W) x 20 (H).